Bad hiring decisions cost money but the real loss may be in the time wasted managing poor-performing employees. A recent study by Robert Half International found that supervisors spend 17 percent of their time each week overseeing poor performers. The study also found that 60 percent of CFO’s believe bad hiring decisions somewhat affect team morale and one in three said it greatly affects team morale. 1) Assessments help you determine if a person fits a particular job. Total-person or job-fit assessments like the ProfileXT® can help you determine how well a prospective employee fits a particular job in your company. Job-fit assessments are typically based on performance indicators, behavioral traits, interests and aptitudes. Managers often hire people because they are hard-workers. This can be useless if their aptitudes and interests do not match the requirements of a particular job. Use assessments to help you keep a narrow focus on the requirements of the job before considering more general personality traits. 2) Assessments help you remain objective while selecting employees. The importance of networking in today’s society has created an “it’s not what you know but who you know” mentality when it comes to hiring. Networking is very important but far too many people get jobs because they are a friend or a relative of an employee. When certain candidates are given priority in hiring due to their connections, hiring managers can be more lenient about making sure the candidate has the necessary skills and aptitudes to do the job. A desire to hire a friend or acquaintance is never an excuse to rush through the hiring process. Requiring the candidate to take an assessment benefits the company by avoiding a potential bad hire. It also benefits the candidate by saving him or her from ending up in a job where he or she would not succeed. 3) Assessments help align talent with business needs. Every company has different human capital needs. Some companies place more value on an innovative workforce and other companies may have a strong need for employees that are expert written communicators. Hiring managers must know what particular skills contribute most to the success of their companies. Business needs should be the foundation of the hiring process. Assessments can help managers eliminate candidates that do not have the critical skills the company needs to move forward. Managers can easily fall into the trap of admitting that a candidate does not have a core skill but hiring him or her anyway because of perceived potential. Potential is great, but the skills your company needs to be successful are more important. 4) Assessments can help you measure hard skills. We have talked a lot about necessary skills being the foundation of any hiring process. But how do you measure whether or not a prospective employee has those skills? Any candidate can put a skill on his or her resume but that does not indicate expertise. 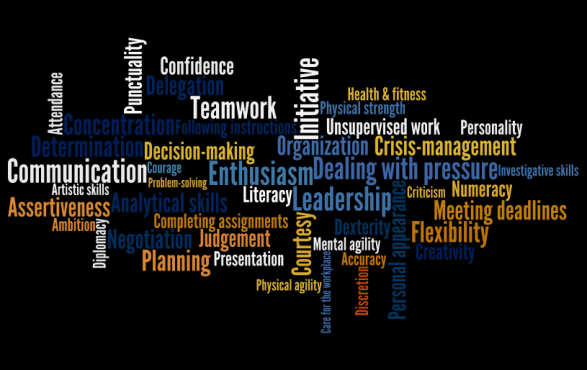 A skills assessment, like the Profiles Skills Test™, can measure specific skill sets. The results of skills assessments will be the meat of your hiring process. If a candidate does not have the necessary skills to do a job, there is no need to waste time and money measuring job-fit and personality traits. 5) Assessments help you learn how to better manage your employees. Once you are certain you have hired employees who have the necessary core skills, personality assessments like the Profiles Performance Indicator™ can help you develop them. These assessments help you understand how to motivate and manage employees with various personalities. Every employee has strengths and weaknesses. Assessments can help you identify the weaknesses in particular and address them so employees do not become bad hires due to lack of training. When used correctly, a combination of assessments can be your best hiring tool. They move candidates along the hiring process based on skills and job-fit, the two most important factors to employee success. Bad hires happen all the time but they do not have to happen in your company. Implementing assessments into your hiring process is the first step to bringing in qualified employees who are able to effectively do their jobs. 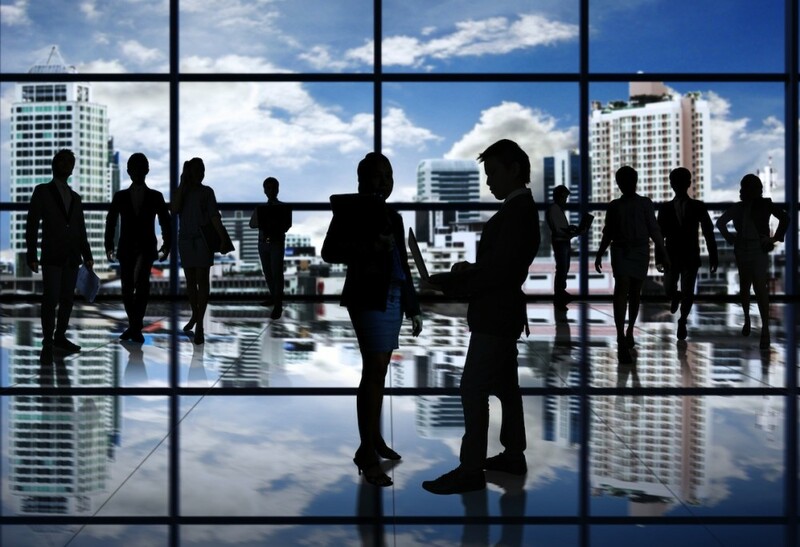 Some good ideas here for corporate recruiters…..
I’ve always thought corporate recruiters could learn a lot from “headhunters” — not because I’m biased due to years spent in third-party recruitment (both as a recruiter and manager). It’s just that when I came to the “other side” I noticed one glaring weakness. Corporate recruiters are very “process driven” and not very good, well, “hunters”; at least that tends to be the case for corporate recruiters newer to the profession. They get the procedures down quickly but they just haven’t been exposed to the world of recruiting and closing higher-level talent. More senior corporate recruiters, on average, have been exposed to both sides and may already use some of the principles I’ll discuss. A few quick facts about recruiting top talent in the U.S. Currently in the U.S. unemployment is hovering around 8%, yet, more than 52% of employers (according to the Wall Street Journal) say they cannot fill their positions. How can this be? How can we have, in this economy, a jobs gap of nearly 4 million? We have a lack of talented folks out there. In the U.S., we graduate nearly five times as many liberal arts majors as we do engineers. What this means for you (Mr. or Mrs. Corporate Recruiter) is that top talent is hard to find, and it’s only going to get harder. Before the “great recession” one of the greatest worries in recruitment was the “coming shortage of a skilled workforce” due to retirements of baby boomers. With Wall Street and 401(k)s rebounding, it’s no surprise to see that, in this market, a machinist can essentially “write their ticket.” Stop for a moment, read that again and let it sink in. Wow. There are two types of questions (as anyone in sales can vouch): open- and closed-ended. Closed-ended questions are “yes/no” questions like, do you have a dollar to spare? 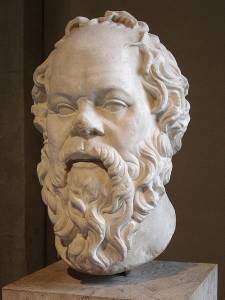 Open-ended questions are of the philosophic variety (call me the recruiting Socrates!) and have no definite answer. The reason this is so important to landing the “prize candidate” is the same reason it’s important in sales: open-ended questions get people talking. Ask questions that are pointed, but open, like: “If there were a handful of things you could change about your current position, what would they be”? Just like a doctor asks you “where it hurts,” you want to find the pain and write it down. The pain is what you will use to close the deal. Side note: open-ended questions are great tools in general. Not just in landing a “prize candidate” but in increasing the quality of your talent pool and avoiding mistakes. They essentially give bad candidates “enough rope to hang themselves,” which is good for you. A mentor (and a boss) of mine, years back, found me on a day when I was unusually ornery. He wanted to know why I was feeling so melancholy. When I told him I had had yet another in-demand candidate back out of a job on me, he gave me invaluable advice in this simple phrase: “the most important words in recruiting are: If, Then, is that Correct”. I can’t tell you how much those words have helped me. In the short term, I stopped feeling like a victim but in the long term they meant much more. Likewise, I hope they will for you too. The reason these words are so powerful is because it not only “closes” the candidate but it finds any objections they may have while you still have a chance to overcome them. Finally, you’ve done it. You closed the “prize hire.” They’ve accepted. Well done. Your work is still not done, since 1 in 4 employees making over $60,000 accepts a counteroffer. Know the math — don’t fool yourself. Before I end an interview I always address the issue of a counteroffer; again it goes back to those “pain questions,” which are like ammunition. It’s not a comfortable conversation, but I’d rather put the very real scenario that they probably haven’t thought about in their head before they get there. When they do, I don’t want surprises. No recruiting process will ever be perfect, and there are tools that both corporate and third-party recruiters could learn from each other. However, a lot of the corporate recruiters I’ve managed tend to treat interviews like interrogations. They focus on questions directing a candidate to proving themselves, such as “why did you leave your last job” or “why should we consider you?” They’ll mention some selling points about the company, but the real psychology of a sale lies in asking questions and listening, and then using that information to close your target. If you’re a corporate recruiter and take anything away from this article, I hope it’s that in order to get the “prize hire” you need to sell them (and close them) as much as they need to sell you. If you take nothing else away, you’ll be a better recruiter for it. Best of luck. Subscribe to the ERE Daily for all the latest recruiting news.